Amotspheric gothic/doom with weeping guitars, occational female clean vocals, violin and an otherwise romantic aura. Two of the bandmembers are also in Greydawn, a black/death band. 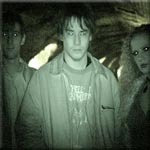 The band formed under the name Transcendence, but changed it to the current name before releasing anything.